This program is intended to enable students to develop the necessary academic, technical and analytical skills that will provide them with a measurable foundation in the basics of sound theater practices. This degree is useful to an individual seeking employment in the entertainment and media industries. As with any liberal arts degree, salaries vary according to the field chosen by the degree holder. With an Associate of Arts degree in Drama from STC, students will have attained the pre-professional foundation skills necessary to compete for beginning positions as technicians and/or performers. In addition to career options in the field of Drama, students with AA-Drama degrees may also choose to pursue advanced degrees in related fields such as television, film, radio, industrial presentations, arts management, and public relations. 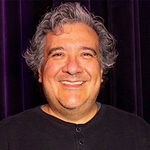 Students who desire a career as Drama educators and who earn a Bachelor's degree in this field would be eligible for employment in most public school districts, providing they obtain the necessary teaching certification. Students who earn a BA or BFA degree in Drama can also expect to be marketable in the business or corporate world in areas requiring a combination of verbal, visual and leadership skills. The AA and BA/BFA degrees also serve as the foundation for specialized studies in Drama such as Scene & Lighting Design, Costume Design, Technical Direction, Playwriting, Directing, Performance, Arts Management and Dramaturgy. Completion of the MA/MFA and Ph.D. coursework would make the graduates eligible for teaching positions at colleges and universities. STC Theatre 2018-19 Season Pass filled with Classics, Musicals and Comedy. 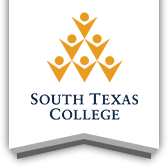 McAllen, Texas (August 20, 2018) - South Texas College Theatre returns with a production season filled with drama, comedy, and music. STC Theatre opens the season on Oct. 18, 2018 with Christopher M. Walsh’s take on Arthur Conan Doyle’s beloved characters in Miss Holmes. The opening production runs through Oct. 21 and is followed by A.R. Gurney’s canine comedy Sylvia, from Nov. 15-18. In the spring, the STC Theatre will sing to their hearts’ content with William Finn and Rachel Sheinkin’s musical favorite The 25th Annual Putnam County Spelling Bee, Feb. 21-24. The 2018-19 season wraps up with August Stringberg’s classic drama A Dream Play that runs May 2-5. General season passes are $15 for students/faculty/senior citizens/military and $25 for the community. Reserved seating season subscriptions are $25 for students/faculty/senior citizens/military and $35 for the community. Season Passes can be purchased online at https://kioskportal.southtexascollege.edu/marketplace.aspx . For more information about STC Theatre, call Dani at (956) 872-2301.